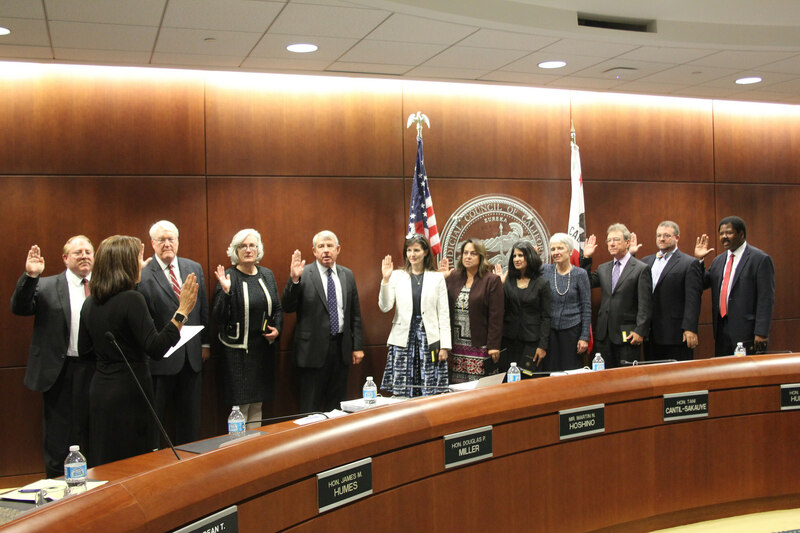 Chief Justice Tani G. Cantil-Sakauye administers the oath to 9 incoming council members and 2 reappointees. Drew shakes hands with California's Chief Justice as his adoptive parents look on during a Court Adoption and Permanency Month presentation. 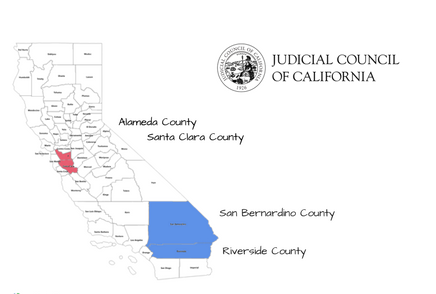 At its September 14–15 business meeting, the Judicial Council reallocated two vacant judgeships each from the Superior Courts of Alameda and Santa Clara Counties and transferred them to the Superior Courts of Riverside and San Bernardino Counties. Assembly Bill 103 required the council to identify which judicial vacancies to transfer between the specified counties and to take all steps necessary to carry out each transfer. The council voted to transfer the positions that had been vacant the longest. Now that the vacancies have been approved for transfer, the Governor will be able to appoint new judges into those positions. Final Report on Traffic Amnesty Program: The council received the final report on the 18-month Statewide Infraction Amnesty Program. Offered from October 2015–March 2017, the program enabled people to resolve their delinquent court-ordered debt at a significant reduction and to request their driver’s licenses back. The program resolved 255,306 cases, allowed 246,000 people to qualify to have their driver’s licenses restored, and resulted in net revenue of $31,562,136. However, coinciding with the start of the amnesty program in October 2015, the report estimates that criminal revenue collections in recent years would have been $131,800,000 higher without the amnesty program in place. Collaborative Justice Courts - Substance Abuse Focus Grants: The council approved a recommendation to fund programs in 49 courts for fiscal year 2017-2018 with annual grants that help expand or enhance promising collaborative justice programs around the state. Collaborative justice programs include DUI courts, homeless courts, peer/youth courts, truancy courts, veterans courts, and other collaborative justice court programs that combine rigorous judicial supervision with rehabilitation services to reduce recidivism and improve offender outcomes.